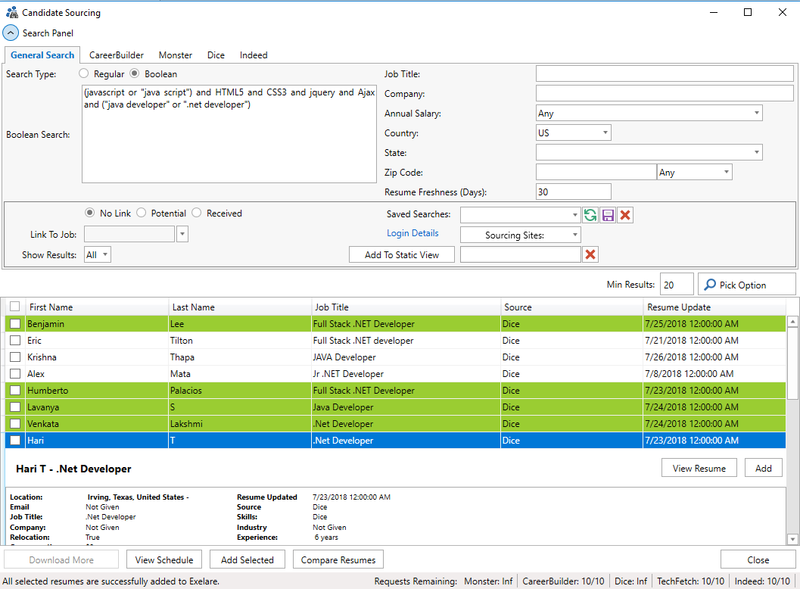 Sourcing Candidates has now been upgraded with new API. With this new API you can source more profound resumes with additional search filters added to the Exelare Application. 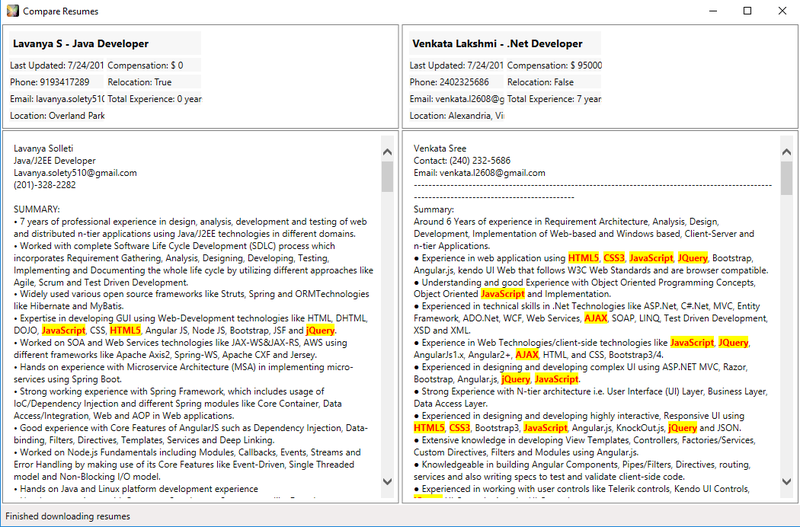 When sourcing resumes from any portal, select any 2 candidate(s) and click on “Compare” to compare resumes. a. Check any 2 candidate resumes. b. Clicking on “Compare Resumes” button at the bottom will pop-up the compare resumes window. After candidates are added to Exelare it shows the added candidate in Green color. This way you do not need to open the candidate to see if it is added already. 3. Upgraded Dice with 4.0 API – Get 98 - 100% accurate results. 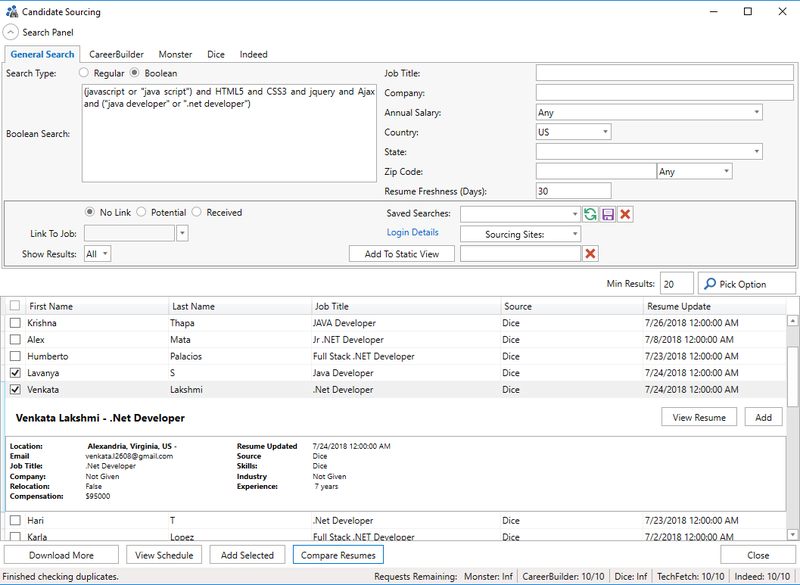 With the new Dice 4.0 API, you have few additional key filters like “Has Email”, “Exclude Third Party” and “Sort By” etc., to get quality resumes. Also the search results always match with Dice online. If you have any additional questions please feel free to contact support@cbizsoft.com.